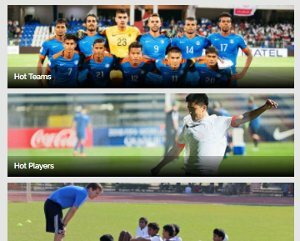 For all the latest news, photos, video highlights, reviews, editorial, tactical analysis from I-League 2017-18 and Indian football, sign up for Khel Now. FULL-TIME ANALYSIS: Neither side will really be satisfied with this result. FC Pune City needed a win to head onto the 2nd leg at Bengaluru with confidence, but they just couldn't break Bengaluru's strong defense on the day and scuffed the little chances they received in the 2nd half. Bengaluru FC will be the more frustrated side as they couldn't horribly failed to convert many inviting chances for them in the 2nd half and will now have to play at their best in the 2nd leg to win the fixture. 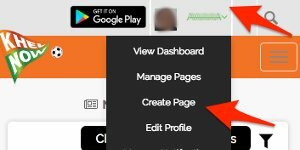 This is Uttiyo Sarkar signing off for Khel Now. Goodnight, Ladies & Gentlemen! 90+4 Tebar was brought on solely for that final corner, which is cleared off superbly by Bengaluru FC and allows the referee to blow the final whistle! 90+3 Isaac shows great persistence as he steals the ball off the Blues and passes it to Alfaro, who is forced to move to the right-flank but his cross is deflected away for a corner. Marcelinho is substituted for Marcos Tebar. 90+1' Udanta Singh finally gets the ball in the right flank and tries to go past Sahil Panwar, who tackles him well and forces the ball to go away for a goalkick. Meanwhile, Marko Stankovic is adjourned as the "Hero of the Match". 89' Bengaluru Go Close! Bengaluru's inviting crosses is not cleared away properly by FC Pune who can only clear it to Subhashish who finds himself just outside the area and takes an attempt from his right-foot which is weak and comfortably saved by Kaith. 88' Interesting substitution for Bengaluru FC. Their star striker Miku is taken off as Daniel Segovia is brought onto add something new to the game and try and get the winner for the Blues. 86' Isaac has a tame shout for a penalty as the winger moves down the right wing and tries to drift in a cross which hit Johnson's leg and accidently his hand before going out for a corner and the shout is dismissed by the referee. 83' Lucca gets right into the thick of things after coming on as he wiggles his way past some defenders and makes a good pass to Isaac, who moves the play to Marcelinho. The Stallions captain finds little space in the penalty area and goes for the shot which is straight to Gurpreet, who holds onto it. 80' FC Pune City desperately need to do something to win this game and Ranko Popovic has decided to bring on Jonathan Lucca for Diego Carlos, who has been relatively tame on the day. 78' A nasty clash of heads as two players are down here! Rafael Lopez and Johnson seem to have mistakenly clashed their heads and play is stopped to check on them, but both seem to be okay and haven't caused any injuries to either one of them. 75' BAD MISS FROM ISAAC. FC Pune finally manage to penetrate through to Bengaluru's box through Marcelinho, who plays in a very clever pass to Isaac who was unmarked but couldn't conenct his foot with the ball and screwed up a big chance for the Stallions! 72' Bengaluru FC seem desperate to get that away goal now as the "Flash" of their team in Udanta Singh comes on for Boithang Haokip, who had been relatively average on the day. 70' Scrappy from Kaith! Bengaluru received a free-kick at the right-wing which is sent in pretty well and Kaith almost makes a mess out of it, but thankfully for him no Bengaluru player is able to capitalize on it and could only receive a corner for the Stallions goalkeeper's mistake. Meanwhile, Subashish Bose is booked for intentionally bringing down Marcelinho. 68' What A Shot From Marcelinho! The FC Pune City captain got a free-kick from a difficult angle far into the left-wing, but he decided to go for the shot anyways and hit a smashing shot which was parried out well by Gurpreet! 65' Lenny Rodrigues seems to be in a lot of pain and is down on the pitch. He collided with Alfaro who tried to launch a counter-attack move for the Stallions and has seemingly picked up a knock. But he seems to be okay to play and will continue. 63' Bengaluru FC make their first substitution of the game as Toni Dovale goes off for Erik Paartulu. The midfielder instantly comes into the game and helps BFC try and mount an attacking move but Pune City contain them well. 61' Diego Carlos is now causing all kinds of troubles for Bheke. He finally receives the ball in the left flank and goes on a darting run, going past Bheke and sending in a powerful cross which is met by Gurpreet's fingers and goes off for a throw-in. Marcelinho later gets to cut-in through the right-wing but his shot after that is a poor one and goes well wide. 58' FC Pune City try to stretch Bengaluru's defense as they move the ball from the right flank to the left. But the cross from Sahil Panwar isn't good enough and is comfortably collected by Gurpreet before Alfaro can get to it. 56' A sad end of Ashique Kuruniyan day. The winger picked up an injury while trying to press the Bengaluru FC defense and it seems like he's hurt himself pretty bad. Isaac Vanmalsawma is brought on for him. 53' After a flurry of attacks from the Stallions early into the 2nd half, Bengaluru seemed to have gained control and attempt to move through that right-flank once again as Bheke does well to fight off his man and send in an inviting cross which is collected well by Kaith. 50' WHAT A MISS! Bengaluru received their first corner of the 2nd half and it's a clever one which finds a BFC player heading from a long way out in the penalty box, but neither of Johnson nor Chhetri can guide that powerful header into the goal. That should've been the away goal for Albert Roca's men! 48' The Stallions win the ball in midfield and send Alfaro running into the BFC box and while the striker does well initially to get there, his shot afterward is blocked well by Johnson and sent out of danger. 46' And we are back! FC Pune seem to be revamped with energy and are on the attack right from the get-go. Kuruniyan shows some impressive footwork and takes a shot which is blocked. The ball also finds Marcelinho, whose long shot goes sailing over. HALF-TIME ANALYSIS: It's been a really cagey game because of both teams not showing the willingness to take risks and do something unpredictable. Sunil Chhetri's swerving free-kick was the biggest chance for Bengaluru FC, but Vishal Kaith saved is superbly. The Stallions haven't been able to penetrate the strong defense of the Blues with John Johnson and Juanan doing a great job so far. Pune will have to pick up the pace and get some goals in the 2nd half because BFC will happily take a draw today. We'll be back after the 2nd half kicks-off folks! 45+1' Both the teams are looking unable to do anything before the first-half whistle blows and even though Bengaluru are constantly attempting to move through that right-wing, Pune are containing them very well. The Stallions are trying to make Bengaluru work for the ball but the half-time whistle blows! 42' There's quite a bit of heat in this game as the players are growing frustrated at the lack of excitement in it. Bengaluru FC seem to be an impenetrable force in defense right now their terrific defending is causing even more frustration to the Stallions players. 39' FC Pune are slowly getting closer to the opening goal as the Stallions mounted a dangerous counter-attack thanks to Kuruniyan who marauded forward with the ball before drifting inwards and attempting to go for goal, but his shot was quite poor and only frustrated Carlos who was free in the left wing! 36' Clever move from Pune! The Stallions are cramped up in their right wing but Kuruniyan manages to find some space and puts in a ball into the box which finds Marcelinho who tries a cheeky backheel which slowly goes away for a goal-kick. 33' Bengaluru go close again from the corner! The corner finds Miku who finds a free-header but his attempt goes over the post. Frustrating for the Blues top scorer! 31' SUPER SAVE FROM KAITH! Chhetri decides to take the corresponding free-kick and puts in a thumping effort which is amazingly saved by Vishal Kaith, who somehow manages to tip it over the bar. 30' Bengaluru FC go on an impressive counter-attack as Chhetri and Lenny link-up very well before the latter try to send Miku through, but the striker is clearly held back by Gurtej Singh who receives a yellow card. 27' It's been a very cagey match so far in this first semi-final. Both teams are shutting each other out and Bengaluru look to do something different by drifting the ball to the leftwing, but Ashique Kuruniyan does well to cover for his defender. Meanwhile, Dimas Delgado gets a yellow-card for fouling Marcelinho. 24' Close for Bengaluru! The ball finds its way to the middle and Toni Donavale finds some space in the middle 25 yards out from goal and goes for a shot, which only manages to go sailing over the post. 22' Unusual moment of shakiness from Gurpreet. FC Pune get another free-kick which is delivered with great force by Marcelinho to the back-post and the BFC goalkeeper struggles to catch it, but is relieved to it go back for a goal-kick. 19' The Stallions get another free-kick from a promising position but Marcelinho decides to pass the ball to Marko Stankovic, who weirdly goes for a left-footed shot from almost 30 yards out and his shot is way off the goal. Poor decision making from the midfielder. 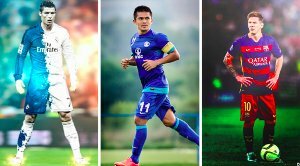 17' Pune are struggling to retain possession in midfield as Sunil Chhetri finally makes a mark in the game as he plays a clever one-touch pass with his midfielder and tries to release Miku, but his pass is just a bit overhit and is collected by Vishal Kaith. 14' The Blues receive their first freekick of the game when Lenny is brought down in the center of the park. The delivery of the corresponding free-kick isn't that good and is cleared well by Adil Khan. 12' Marcelinho and Alfaro link up well in the center of the field and cause some problems for the Blues. The ball finds its way to Carlos who puts in a dangerous ball which is cleared only to find Marcelinho inside the box, and the captain is brought down by Johnson but not intentionally as the Stallions penalty protest is waved on by the referee. 9' FC Pune City seem to have gotten a bit of energy and are pressing the Blues pretty well. They try to send Alfaro through on goal with a clever pass but it is tracked well by John Johnson, who clears the ball out of danger comfortably. 6' The midfield battle between Lenny Rodrigues and Rohit Kumar has already been an intriguing one. Bengaluru are pressing the young midfielder well whenever he gets the ball and force him to make errors. The Blues win the ball and try to release Bheke in the right wing, but the right-back is judged offside. 4' Bengaluru FC are the ones to keep major possession early on. The Blues are trying to work the wings but the Stallions win the ball and Sahil Panwar makes a stunning long ball to Alfaro, who can't really control it properly and his attempt is saved comfortably by Gurpreet Singh Sandhu. 1' And we kick-off! Bengaluru start proceedings and Miku is dispossessed early on. But Rahul Bheke makes a crunching tackle on Diego Carlos to spice up the game early on. 07:58 PM There seems to be a big chunk of Marcelinho fans in the house! They definitely love their captain here in Pune! There's also a large section of Bengaluru FC fans with the West Block Blues making their presence felt. The players shake-hands and seem to be ready to rumble. A few minutes to kick-off now! 07:55 PM The teams are coming out to the pitch! We are now just minutes away from kicking-off the first semi-final of the 2017/18 ISL season. Stay tuned folks! 07:50 PM The Balewadi Stadium in Pune is starting to fill as we are now a few minutes away from this thrilling bout. It's the first time the Stallions' fans are going to see their men in action at the semi-finals and will hope they can stop the BFC juggernaut and emerge victorious on the day. 07:45 PM Udanta Singh is on the bench yet again for the Blues as Albert Roca prefers to play the young Haokip, who has been on some good form recently. Bengaluru's depth and strength in midfield has worked wonders for them so far this season and they will definitely take anything but a defeat today! 07:40 PM Here are the line-ups for the game! 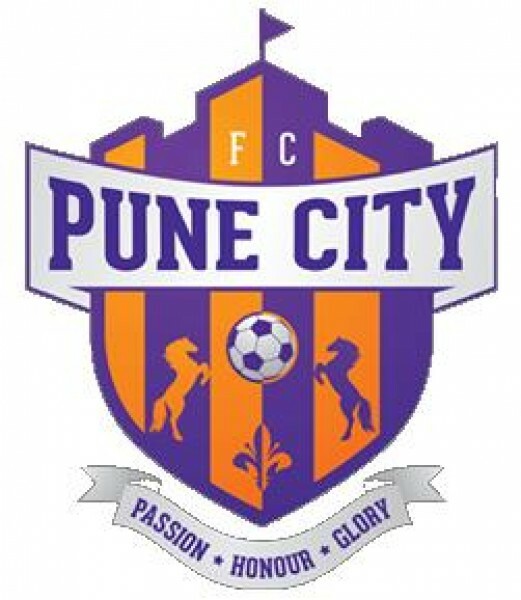 FC Pune City XI: Kaith, Gurtej, Lopez, Panwar, Adil, Stankovic, Kumar, Kuruniyan, Carlos, Marcelinho(C), Alfaro. Subs: Kamaljit, Sahni, Jesus, Vanmalsawma, Tebar, Golui, Lucca. 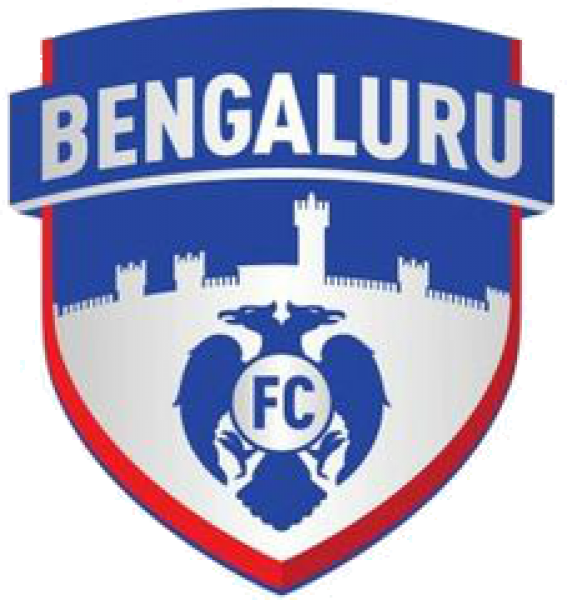 Bengaluru FC XI: Gurpreet, Bheke, Juanan, Johnson, Bose, Lenny, Delgado, Haokip, Donavale, Chhetri(C), Miku. Subs: Ralte, Paartulu, George, Zotea, Segovia, Semboi, Udanta. 07:35 PM It's a highly anticipated bout between these two teams who are both playing their inaugural semi-finals match in the ISL and will look to start off with a bang. Bengaluru FC emerged with a clinical 1-3 win the last time these two faced each other at the Balewadi Stadium, but the Stallions will want to reverse that and are in dire win if they wish to head into the 2nd leg with a comfortable lead. 07:30 PM Hello everyone, it is a wonderful evening in Pune and it is a delight to host such a high voltage game here. The weather here is just perfect for the first semi-final of the Indian Super League between the two sides, FC Pune City and Bengaluru FC. This is your host Uttiyo Sarkar, stay tuned and enjoy the commentary with Khel Now Football!